The province risks getting mired in deficit and debt unless it does something to boost revenue, cut spending and stop pinning its hopes on rebounding oil prices, according to a report released Wednesday. Even though Alberta's economy is poised to lead the country in growth this year, the province risks getting mired in deficit and debt unless it does something to boost revenue, cut spending and stop pinning its hopes on rebounding oil prices, according to a report released Wednesday. 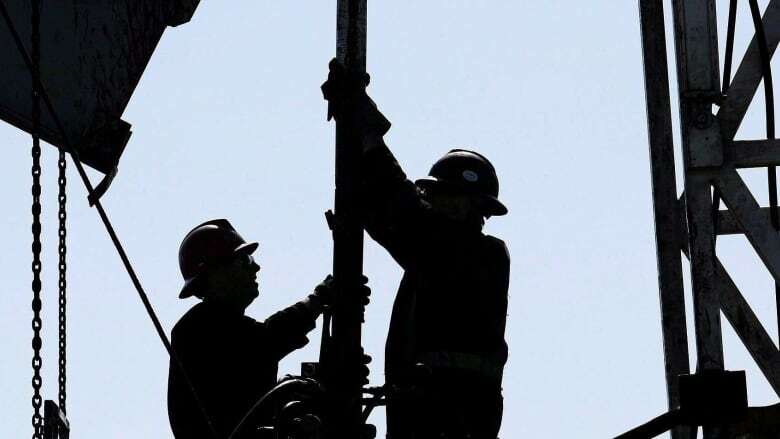 The Conference Board of Canada's Alberta fiscal snapshot predicts that a slow rebound in royalties and corporate tax revenues will help reduce Alberta's deficit, shrinking it from $10.8 billion last year to $6.8 billion in 2019-20. Alberta's economy is anticipated to grow by more than three per cent this year and 2.3 per cent in 2018. But two years of recession-level revenues — combined with a surge in spending due to the devastating Fort McMurray wildfire in 2016 — have pushed the province into a net debt position for the first time since 1999–2000. The board forecasts that the net debt — the difference between total assets and liabilities — will balloon from $9.5 billion to $44 billion, with debt servicing charges doubling from $1 billion to $2.3 billion by 2019-20. "The provincial deficit as a share of revenue is now comparable with what the province experienced after the 1986 oil crash," the report says. The remedy, according to the Conference Board of Canada, is to tackle Alberta's age-old over-dependence on volatile resource revenues while addressing the imbalance of low taxes and high spending. "Taxation in the province is the lowest in Canada, with no sales tax and nearly flat personal income taxation," the report says. "While this makes the province competitive when compared with the rest of Canada, it also leaves it unnecessarily dependent on oil royalties to fund their operating expenditures." About two thirds of Alberta's revenue growth to 2019-20 is expected to come from resource royalties and corporate taxes. The board estimates that resource royalties fell to a low of $2.4 billion in 2016–17, a level not seen since the late 1990s. They are predicted to rebound to $6.1 billion by 2019–20. But that's still much lower than the $9.2-billion, on average, that Alberta enjoyed from 2010–11 to 2014–15. "The end of the commodity super-cycle means the province must address both revenues and spending to bring its finances back to balance," the report says. The board notes the Alberta government has a plan to cap program spending increases at 1.9 per cent over the next three fiscal years by limiting growth in health care and education spending. Finance Minister Joe Ceci said in an emailed statement that the Alberta government chose to work to diversify the economy and create jobs in this tough economic time. "Our approach is working, and many forecasters, including the Conference Board of Canada, are forecasting that Alberta will lead the country in GDP growth this year. We are seeing many positive signs of economic recovery — manufacturing is up, exports are up and employment is up," he said. "The global collapse in the price of oil has had — and continues to have — a significant impact on the province's bottom line. However, we have a strong balance sheet with a significant tax advantage and the lowest net-debt-to-GDP ratio in Canada." Ceci says the province plans to bring down the deficit gradually by keeping spending growth less than population growth plus inflation and "budget prudently." But Alberta already holds the distinction of having the highest spending on health care per person among all of the provinces, the board says. In 2014, age-adjusted health care spending per capita in Alberta was $5,178 — 34 per cent above the national average. The province says it will hold health care spending increases to an average annual pace of about 2.9 per cent until 2019-20, down from 6.7 per cent in the past 10 years. But that plan isn't realistic, the board argues. "The Conference Board projects that health care spending in Alberta would have to grow by an average pace of 4.8 per cent per year over the next two fiscal years just to keep pace with inflation and demographic changes in the province. Alberta's plan to control education spending, keeping increases at 2.4 per cent per year over the next three years, is also too optimistic, according to the board. "Given Alberta's strong population growth, the Conference Board estimates education spending needs to increase at an average annual rate of 3.8 per cent to maintain real spending per student," the report says. University of Calgary economist Trevor Tombe says it will to take a policy change to find the money the province needs. "There's no indication that Alberta's finances will be on any more stable a footing in the future, even if the deficit falls. So, we'll still very much be on the royalty roller-coaster," he said. On a more optimistic note, Tombe says the unemployment rate is falling faster than anticipated. The Conference Board had not expected the unemployment rate to fall to 7.4 per cent until next year, but it's already reached that level, he said. "It looks like the economy and the labour market is recovering at a fairly good pace," he said.